The new BIG Maxi Truck is incredibly big and fun for childrem from the age of 2. This strong truck can transport all kinds of goods, no matter if it is sand, building blocks or other building material. The large load area of the truck is tiltable, and can hold up to 4.2 liters and 25 kg. A lock on the upper side prevents the skip from lifting backwards while driving and losing valuable freight. Arriving at the construction site, the goods can easily be unloaded by lifting the skip. The BIG Maxi Truck also features a special design. Bright yellow together with contemporary stickers make the truck look just like its big counterparts and turn it into an eyecatcher. With a width of 46.5 cm and a height of 29 cm, the BIG Maxi Truck is 35% bigger than its little brother from the BIG Power Worker series and other normal toy vehicles. The design of the construction vehicle is ergonomically shaped to fit perfectly into little children's hands and make it easy to push, transport or to unload. The sturdy soft tyres are a special feature and do not leave stains on the floor. Thanks to the high-quality materials, the BIG Maxi Truck is easy to clean in running water and is thus ideal for playing inside the house or outdoors. 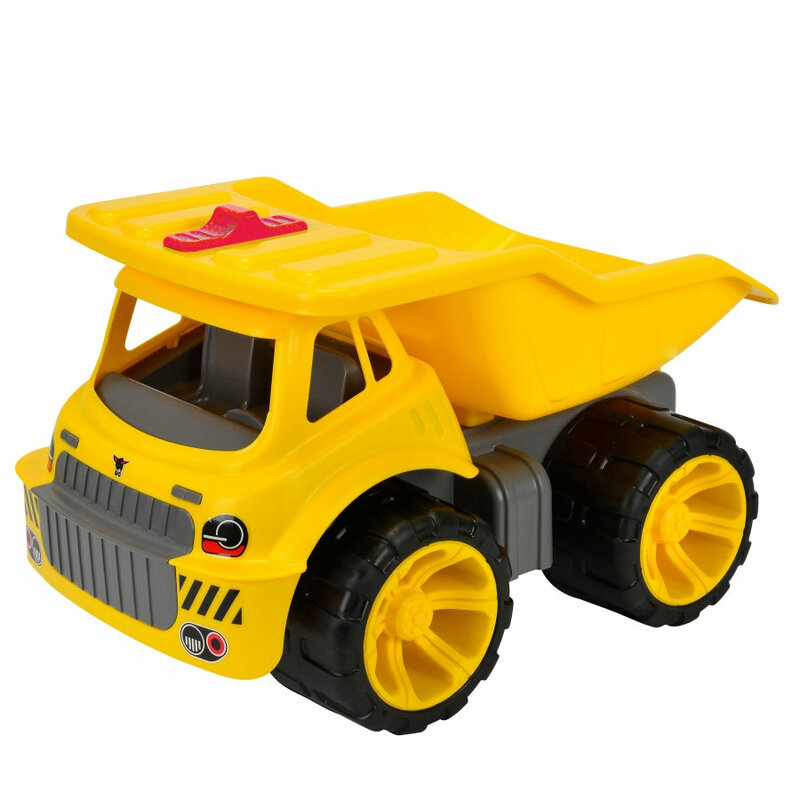 Just like all BIG toys, the Big Maxi Truck is manufactured in Germany from high-quality plastic. Not suitable for children under 2 years. Contains small parts that could be swallowed. Choking hazard!